As part of its online casino promotion strategy, Golden Cherry Casino offers new members an enticing welcome bonus. This Golden Cherry bonus promises new players a 50% match on their first deposit, allowing them to collect up to $444 dollars (in other words, any deposits higher than $888 will still garner just a $444 bonus). The casino also offers a Golden Cherry bonus for every new player's second deposit as well, guaranteeing a 50% match bonus for the same amount, and thus allowing players to collect up to $888 right away. Claiming these bonuses is simple: all a player needs to do is register with the site, click the "cashier tab," select the appropriate welcome bonus and make a deposit, and then start playing. While new members at Golden Cherry Casino are offered online casino promotions as encouragement to join the site, existing members can also choose from a range of different bonus options. For instance, slots enthusiast can collection up to $3,000 in bonus money on one deposit. Additionally, members who register with the site and sign up for regular Golden Cherry updates will receive weekly emails with promotions included. These weekly bonuses often come in the form of matched percentages; for example, one week, a player might be offered a 200% "match" on a specific minimum deposit (i.e. double his or her deposit). Some bonuses are specific to certain games, while others reward players for referring friends and family to the site. While these bonuses can increase winnings by helping players increase their wagers and play more rounds, they do include some caveats. Most of these promotions include expiration dates and minimum wagers, requiring players to place a certain number of bets within a certain time frame. If a player fails to do this, he or she will not be able to collect a portion of the winnings that came from wagering this free casino bonus cash. 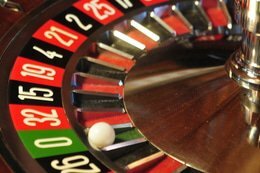 This can be incredibly frustrating -- especially if you've had a few lucky days at the casino--so make sure to read the fine print associated with the bonuses and plan accordingly.